Roxar diaphragm for Montabert V1600 rock breaker, high quality OEM equivalent diaphragm kit. Roxar V1600 diaphragm kit is equivalent to Montabert part number 86633914. The name Montabert is a registered trademark of the respective original equipment manufacturer. All names, descriptions, numbers and symbols are used for reference purposes only. Roxar diaphragm for Montabert HC50 drifter, high quality OEM equivalent diaphragm kit. Roxar HC50 drifter diaphragm kit is equivalent to Montabert HC50 Genuine diaphragm. The name Montabert is a registered trademark of the respective original equipment manufacturer. All names, descriptions, numbers and symbols are used for reference purposes only. Roxar diaphragm for Montabert HC40 drifter, high quality OEM equivalent diaphragm kit. Roxar HC40 drifter diaphragm kit is equivalent to Montabert HC40 Genuine diaphragm. The name Montabert is a registered trademark of the respective original equipment manufacturer. All names, descriptions, numbers and symbols are used for reference purposes only. Roxar diaphragm for Montabert HC158 drifter, high quality OEM equivalent diaphragm kit. Roxar HC158 drifter diaphragm kit is equivalent to Montabert HC158 Genuine diaphragm. The name Montabert is a registered trademark of the respective original equipment manufacturer. All names, descriptions, numbers and symbols are used for reference purposes only. Roxar diaphragm for Montabert HC80 drifter, high quality OEM equivalent diaphragm kit. 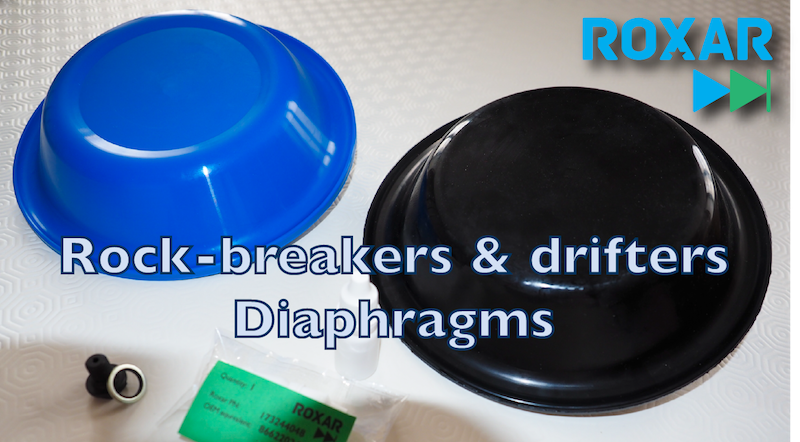 Roxar HC80 drifter diaphragm kit is equivalent to Montabert HC80 Genuine diaphragm. The name Montabert is a registered trademark of the respective original equipment manufacturer. All names, descriptions, numbers and symbols are used for reference purposes only. Roxar diaphragm for Montabert HC200 drifter, high quality OEM equivalent diaphragm kit. Roxar HC200 drifter diaphragm kit is equivalent to Montabert HC200 Genuine diaphragm. The name Montabert is a registered trademark of the respective original equipment manufacturer. All names, descriptions, numbers and symbols are used for reference purposes only.